Skin care is very important for us makeup lovers. It keeps our faces clean and healthy, can prevent breakouts and blemishes, and can improve the appearance of your skin with and without makeup. I have dry and sensitive skin, which means that I have patches of very visibly dry skin, and many products sting or feel uncomfortable. Because of this, natural ingredients that are designed to moisturise are my area of expertise. It can be a struggle sometimes to find the right products for you, so if you're looking for a few recommendations, look no further! To remove my makeup, I use The Body Shop Chamomile Sumptuous Cleansing Butter. This is a solid cleanser, so you just swirl a cotton pad around the pot and use it to remove your makeup. Chamomile is calming, which is good for sensitive skin, as it won't irritate it. Because it's a butter as well, I find it to be fairly moisturising. Following makeup remover, I like to use the Liz Earle Instant Boost Skin Tonic toning water. Using some on a cotton pad, this removes not only any remaining makeup, but also the makeup remover, because that doesn't need to just sit on my face. I find that this toner has a pleasant scent, and does a good job of getting rid of whatever is left on my face. Three or four times a week, I like to use the Liz Earle Eyebright Soothing Eye Lotion before bed. This helps to cool and soothe the eyes, which for me can feel puffy and tired by the end of the day. I pour a generous amount to two cotton pads, put one over each eye, and leave it for five or six minutes. I find this very relaxing, and it's great for just refreshing your eyes. Before bed and before I put my makeup on in the morning, I use the Liz Earle Skin Repair Moisturiser for Dry/Sensitive Skin. I find this is brilliant for sorting out dry patches and helping my makeup sit better throughout the day (sometimes my dry patches make my foundation look awful after a while). I just apply a small amount with my fingers all over my face. I mix a few drops of The Body Shop Drops of Light Brightening Serum in with my foundation to help it to sit better without drying out my skin further. This is intensely moisturising, which I need, but it has natural ingredients which help to keep sensitive skin happy. I literally just drop a bit on my face and massage it in before applying my foundation. Every few days, I use The Body Shop Drops of Light Skin Resurfacing Liquid Peel to exfoliate my skin without having to use a fierce scrub which can affect my sensitivity. It works wonders. 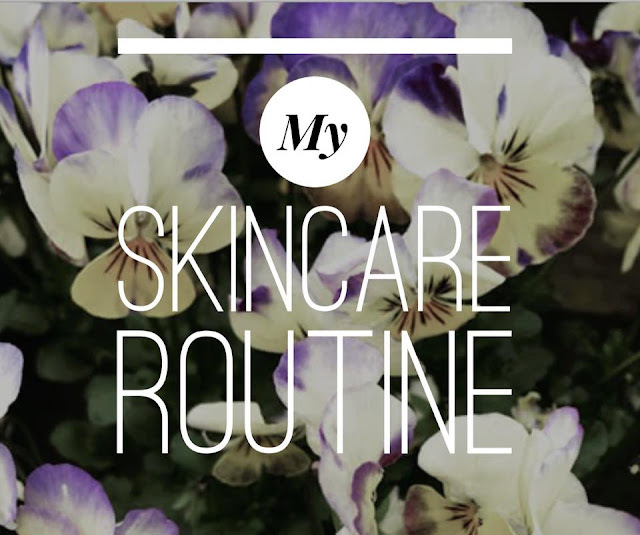 I just shake it up, squirt a few drops onto my fingertips and massage it all over my face, focusing on my dry patches which can get flaky from time to time. Within seconds, it starts to bring up dead skin and nasties lurking in the pores. It doesn't hurt and thoroughly cleanses and exfoliates. Afterwards, just close your pores with a bit of cold water and you're good to go! A couple of days after I do a skin peel, I use The Body Shop Himalayan Charcoal Purifying Glow Face Mask to draw out the muck that can clog up pores. A lot of the charcoal masks that you see all over the internet are not only painful but also contain 80% PVA glue. You're paying for the privilege of putting glue on your face. The Body Shop use natural ingredients in their mask. In my opinion, it minimises my pores and removes blackheads and the dirt in my pores, while gently exfoliating to leave my skin soft and smooth. It stings a little bit just after I put it on, but it's not unbearable. I realise that may sound like a lot of products for some people, or not many at all to others, but everyone is different and has different preferences and needs. Regardless, I hope you've found this post helpful for recommendations and advice if you needed it!